April 3, one of the world's biggest stars — Doris Day — turns 97 years old. Having succeeded as a singer, actress in movies/on TV, TV host and animal-rights activist, she is one of Hollywood's most revered women. Here, my picks for the dozen best things she's ever done, creatively. Let me know what I have left out! (12) "A Guy Is a Guy" (1952): Capitalizing on her "good girl" image, Day went to #1 with this suggestive — and then crazily conservative — hit about boys being boys, and how getting kissed on a date will end with the dude and your parents deciding you should be married. See, marriage is "what he did to me." Does it fit with today's mores? No, but it's hard to keep a good girl down. (11) The Doris Day Show (1968-1973): Filmed through cheesecloth and as wholesome as a kitten up a tree, this riotously warm-hearted series simply does not play today. But it plays if you remember it from the first time around, with Doris at its gooey center — the proverbial shotgun to her head, having been committed to the series by her thieving husband Martin Melcher (1915-1968). Her fab co-stars like Jackie Joseph (b. 1933), Rose Marie (1923-2017) and Kaye Ballard (1925-2019) helped make the show an anachronistic delight. (10) Calamity Jane (1953): Day makes for a glam, effervescent Calamity Jane (1852-1903) in this guilty-pleasure Technicolor western that preposterously asks us to believe that Jane and Wild Bill Hickok (1837-1876), played by Howard Keel (1919-2004) were lovers. (9) "Sentimental Journey" (1945): Day's very first hit came 74 years ago in the form of this Les Brown (1912-2001)-powered hit, sung with a kittenish confidence that made the country fall in love immediately. One of the best pop voices of the last century, and one of the most iconic of all time. (8) The Thrill of It All (1963): Directed by Norman Jewison (b. 1926), this charming, suburban comedy showed off Day's delicious chemistry with James Garner (1928-2014), one of her favorite co-stars. 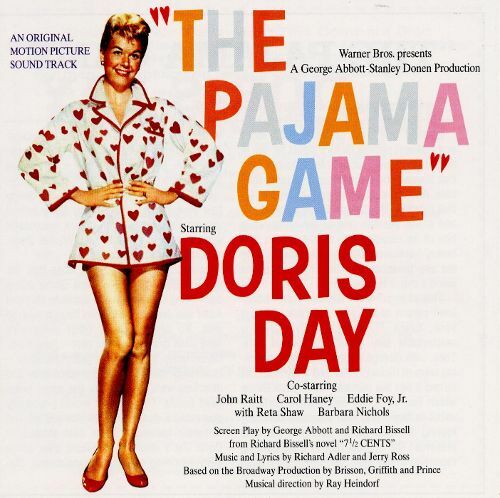 (7) The Pajama Game (1957): Day took the lead from Broadway's Janis Paige (b. 1922), but she knocked it outta the park — even if Carol Haney (1924-1964) and her "Steam Heat" stole the show. (6) Lover Come Back (1961): The second Doris Day/Rock Hudson (1925-1985) flick, a mistaken-identity romp, was a great argument for a third — fun, fun, fun, and Tony Randall (1920-2004) was Oscar-worthy. (5) "Secret Love" (1953): From Calamity Jane (1953), this unforgettable classic could only have been a #1 smash — and won its writers an Oscar — thanks to Day's pure vocal. Still as timeless and yearning 66 years later. (4) The Man Who Knew Too Much (1956): Day had so few truly great roles on the big screen, and while the role of Jo, a popular singer married to a doctor who becomes embroiled in an assassination plot, was not a heavy lift, director Alfred Hitchcock (1899-1980) preserves for all time Day's perfect instincts in any genre, arguably the height of her allure and, of course, that song — that song! (3) Love Me or Leave Me (1955): Day could have been a fine dramatic actress had she not focused on light comedy, and this film proves it. In it, she plays torch singer Ruth Etting (1897-1978), and belts beautifully while capturing Etting's rough life. It's a gutsy, passionate performance for the ages. (2) "Que Sera, Sera (Whatever Will Be, Will Be)" (1956): The kind of song they don't make anymore, but a song you can't get out of your head if you happen to hear a piece of it. How delightfully twisted that Hitchcock used it as a plot point in his outstanding The Man Who Knew Too Much (1956) remake. It was a #2 hit for Day, and is her signature tune. 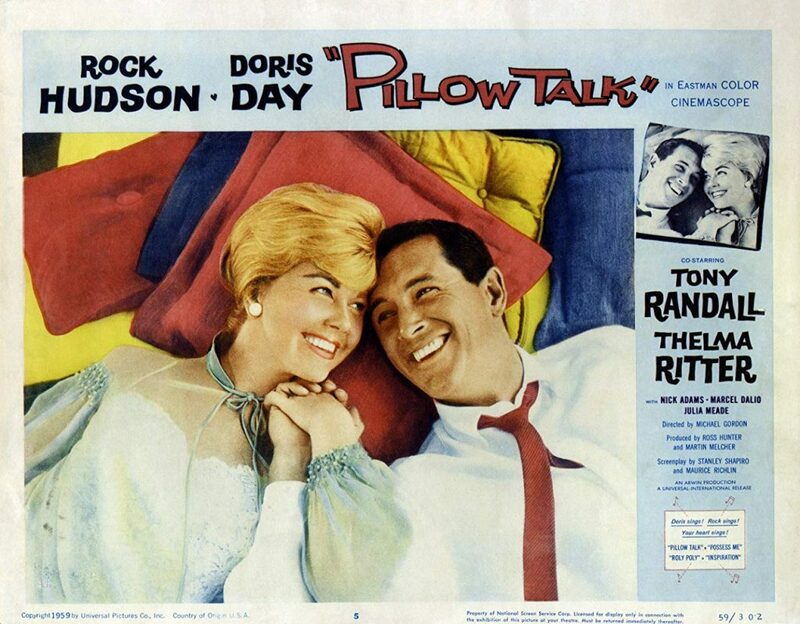 For Pillow Talk, one of the most fondly remembered films of all time, Day received her one and only Oscar nomination. Rumor has it the Academy has for years wanted to give her an honorary Oscar, but insists she collect it in person. Day has not traveled in years and has only made one quick formal appearance in recent times, though she will sometimes peek out from her balcony on her birthdays. Finally, check out my massive list of biggest stars who are 80+ — hint: Doris Day is #1, natch. Oh You definitely have not heard her two best albums, `Day by Day` and `Latin for Lovers` those two albums are among her very best work… Also the films `It happened to Jane` and `Storm Warning` two little known gems but certainly among her best work as well.